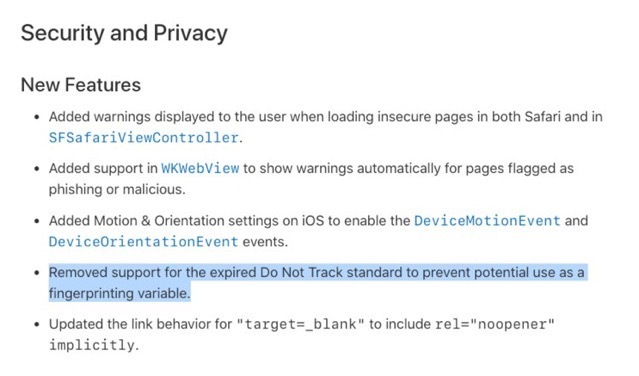 As pointed out by Spread Privacy, the release notes for the newest version of Apple’s Safari browser show the company has removed the “Do Not Track” setting in order to “prevent potential use as a fingerprinting variable” or in others words, as a way to track people (via Business Insider). For those who aren’t familiar, the Do Not Track feature sends an invisible request on a user’s behalf to all the websites visited telling them not to track the person. Although the feature has been present on almost all browsers for many years, it doesn’t do anything because almost no websites actually honour the request. 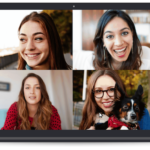 According to Apple, the feature can, in fact, be used by some advertisers or scammers as a way to track your browsing across devices or websites. Hence in Safari 12.1, which is included with iOS 12.2 and macOS 10.14.4, Apple has decided to kill the feature permanently. For the full release notes, hit up this link.